When using this technology, you basically build a regular website, using HTML + CSS + JS + backend language (Java, .NET, PHP, Python, Node.js or whatever). The user needs to be open a browser in order to view your content. While it’s (very) unlikely to ask the user to type a long address in the mobile browser, you could provide some links in the email or ask the user to scan a QR code to access the URL. Adapt to screen: Since the mobile device normally has much smaller screen size than PC and notebook, the mobile website needs to be designed in a way that the layout makes more sense to the user. For example, you may show a list of items instead of a very wide table in the UI. Technically speaking, it’s not a technology, just a minimum requirement for a page to be shown in a sensible way. It’s still a website actually, however it uses some new technologies and frameworks, which are complicated enough to have it separated from the traditional website. The biggest difference is that, the web page will not be refreshed during the entire navigation. The website URL basically would not change except the hashtag (#) part. This article won’t go into much details about the framework comparison, but my gut feeling is Vue.js might be a good one to stick with simply because the syntax of this framework looks more explicit and simpler (Zen of python #2 & #3). There are a lot of related comparison articles in Google. Strictly speaking, this is not another approach, it’s just another technique you could add on. There are some mobile UI frameworks outside that could make your website looks more like mobile devices. The buttons, rows and combo boxes would look more **like **native devices. It’s a pure cosmetic thing, and it could be used along with either traditional website or SPA. Bootstrap is one of the most famous UI framework, and it’s supported by Twitter. Again, this is not a framework, it’s just another tool you could use and leverage. Websocket means you could continuously update your website without keep sending backend requests. For example, you want to set up a page that would show the stock prices in real time, if using traditional way, you may need to send ajax request to backend at a regular time interval. With websocket, you could pull the data from the website continuously using one long lived connection, and the data will be kept updated. You may find the actual demo here. 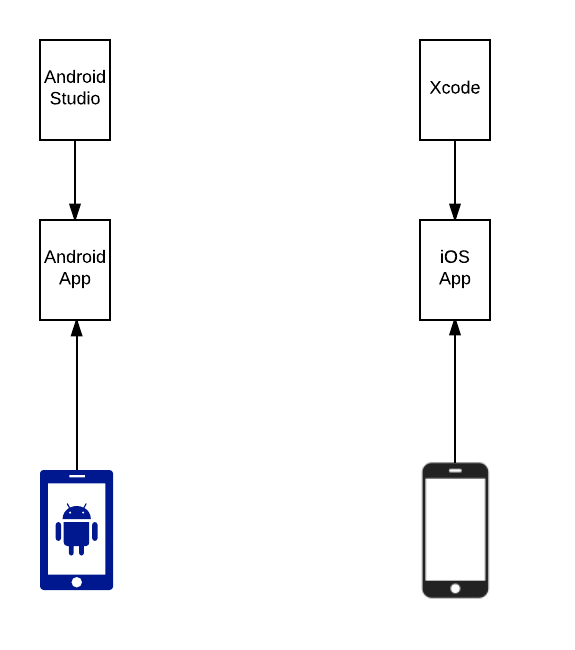 You don’t need to build two apps for two platforms. You can’t promote you application from the app store. It’s a big deal. Low performance. Though JS engine is much powerful now, it’s still much weak than the native UI. Also, one should note that even the Chrome app on iOS devices does not use JS engine V8. A lot of limitations exist in HTML5. For example, you can’t have push notification for your website on any iPhone. Performance is a major problem. Eventually the UI is built from the browser instead of native device API. If the app is a simple master-detail application, then it should be fine. But 99% of case you app is going to be more than that (though I bet most clients will claim it’s going to be a **simple **app at the beginning.) When the app goes more complicated, and particularly when animations are involved, the performance is going be a problem. It just not looks right. In most cases, the UI looks a bit odd, and people can still tell if it’s a real native app or not. It’s a problem if UI is really important. Saved time? Theoretically, the development time of hybrid app is faster than building from native, because you only need to write one set of codes. Also you would save a lot of time because you don’t need to learn the native API.However, that based on the assumption that your development using cordova would be very smooth, which is unlikely. Everyone will get stuck on something as the development goes on. In my experience, sometimes you need to spend days or even weeks to solve a problem, which totally compensate the man days you saved using a HTML code. Honestly, the native development is not so difficult nowadays, and it should not be regarded as a major problem. The calculation is more subtle than you thought, we would further discuss about this in the last section of the blog. React Native: Based on React.js, and naturally it’s supported by Facebook. Weex: Based on the model of Vue.js, and it’s created by the team of Tabao, which is the biggest e-commercial site in China. It’s extremely hard to accomplish the trick, and hence very few companies provide this technology. Currently Xamarin is the most famous (and probably the only one) company that provides this service. Users only need to write C# for the mobile app development of both iOS and Android. The magic seems to happen in the low level API, where the linkage from .NET to iOS/Java library happens. Totally flexible. 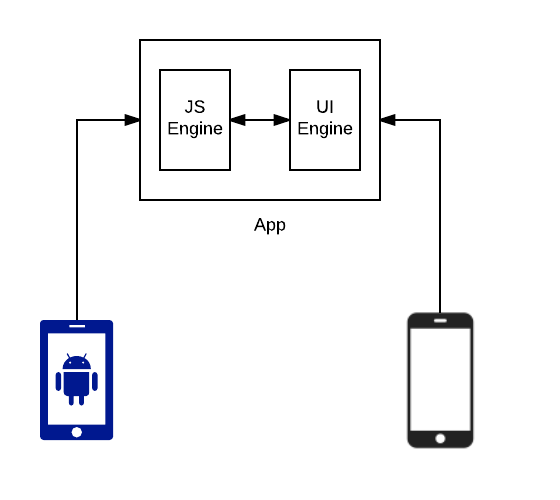 If you build the app in the native way, than you should have all the capability you could possibly get to build the app. In other words, if you can’t accomplish one feature using the native way, then you can’t do it in any other approach. Less pitfalls: there might still be pitfalls using the native SDK, but in general it’s much less than other technologies, because it’s the ground foundation of everything else. Team: As mentioned before, the time and cost is not a major problem actually. But it’s difficult to maintain a diversified team in long term. If the company focused on app development then it’s fine. But in many cases, the company got an IT team of web developers and only develop the mobile apps occasionally, then it would be question to maintain a skillful mobile development team in the long term. Team. It’s seldom brought up by other articles, but I believe it should be the second most important factor to think about. Normally, the composition of a team depend a lot of non-technical factors. For example, what’s the expertise of existing team? how diversified a team we would (or want to) maintain? 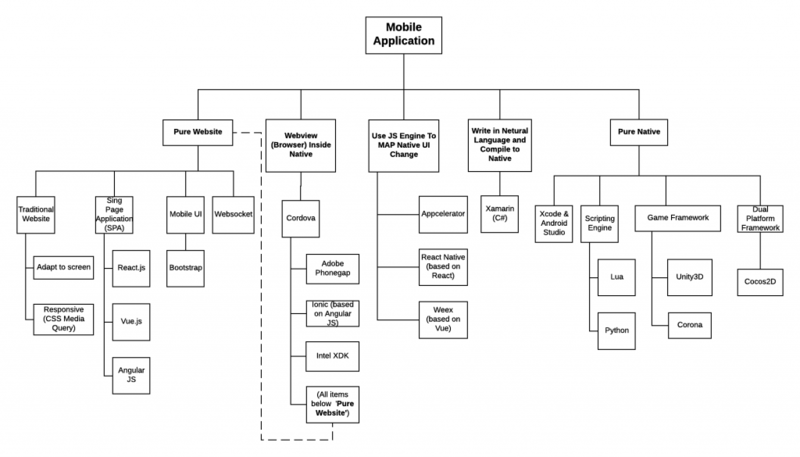 Is it easy to hire mobile developers or web developers? These are objective limitations, and could give you an important hint about your best choice. 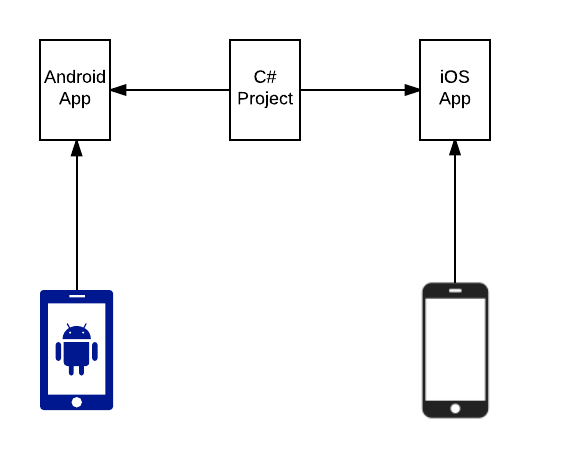 For example, if your company already has a team of .NET developers, and would like to build a cross platform enterprise app (which means UI is not a big concern), then it makes a lot of sense to use Xamarin rather than Cordova.